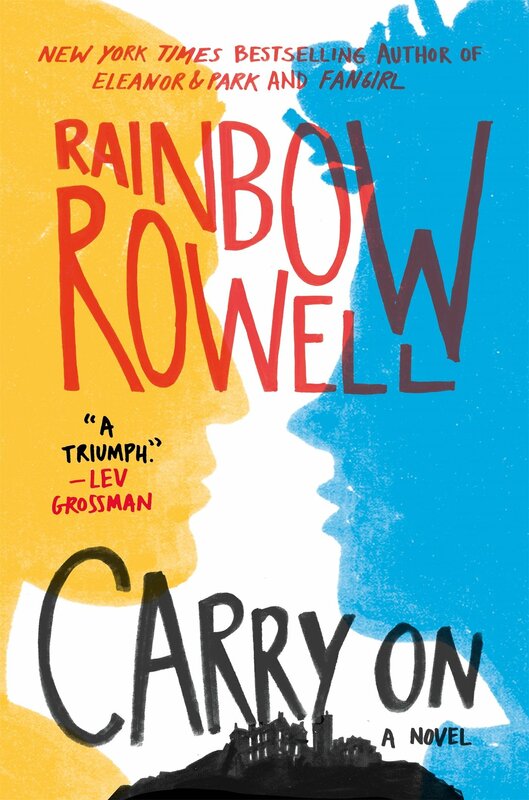 Carry On is a novel by Rainbow Rowell. It’s – kind of – a spin-off from Fangirl. Simon Snow is in his final year at the magical school of Watford. Simon is the Chosen One, prophesised to defeat the Insidious Humdrum, an honor Simon could really do without. Especially since his hold on magic is tenuous at best. But together with his best friend Penelope, who has an excellent grasp of magic, Simon is ready to face the world. Even his roommate Baz who Simon is sure is up to no good. Baz really does think more about Simon than he probably should, but it’s not really because his intentions are evil. Carry On is a quick, fun read and really drew me in, despite a couple of issues I had here and there. It definitely managed to make me smile. The connection to Rowell’s novel Fangirl is that its protagonist Cath writes a fanfic with the same title about Simon Snow. Carry On can be understood as that fanfiction, but it’s also a thing of its own. While it obviously started its life as a Harry Potter/Draco Malfoy fanfic, but it also went through several transformations in an equally obvious way. That means that Carry On is a nice mix of hommage and new world with a different understanding of magic. That means that the story revels in the tropes it uses and doesn’t so much subvert them, as polish them up in a way that shows their strengths and weaknesses more clearly. And it definitely is nice to have a classic Chosen One story that involves a lovestory between two boys. That being said, as a bisexual, I have to heavily side-eye the entire “I’ve had a girlfriend before, now I have a boyfriend, what does that make me, well, I’ll figure out later whether I’m gay, no pressure, no need for labels” dance. Classic bi erasure strategy and completely unnecessary. I also didn’t like that the readers learn about Simon’s origins, but Simon himself does not. I really would have wished for him to have that closure. And lastly, the vampire part of the story was brushed aside and not really satisfactory for me. But apart from that, there is much I loved about it. I loved the characters, I loved the love story, I loved Baz and Penny together, I loved Ebb and I loved that the Mage was appropriately creepy (right, Dumbledore?!). I was drawn into the story and rooting for them all. That’s a win in my book. Summarizing: I’d gladly read a sequel. This entry was posted in books, female writer and tagged Carry On, Fangirl, Rainbow Rowell by kalafudra. Bookmark the permalink.